Rubber and plastics injection molder Woco Tech has invested $12 million in its Querétaro, Mexico manufacturing site and is considering a second Mexican plant to help it satisfy growing local demand from customers like Volkswagen, BMW, and Ford. Hans Jürgen Kracht, CEO of Germany-based parent company, Woco Group, attended an opening celebration in late August, which included Querétaro’s governor, José Calzada. 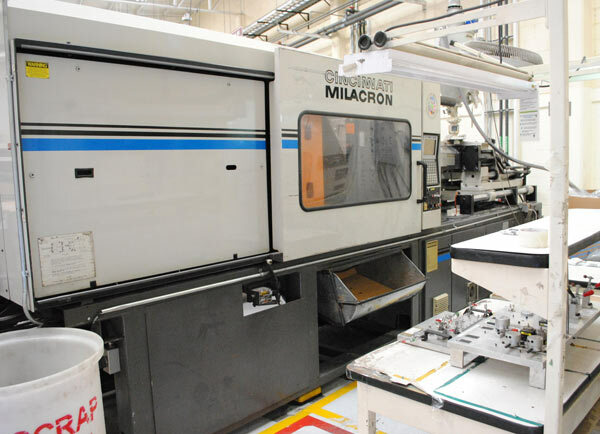 The company expanded its Querétaro operation by 15,000 sq ft, and over the next four years, it is planning to invest an additional $18 million to add machinery and equipment. Forecast 2016 sales at the Querétaro plant are predicted to represent more than 15% of Woco’s worldwide turnover. The growing importance of the market has the company considering medium-term plans to open a second plant in Mexico. In a release, officials said a decision on the location of the second plant will be made in the next 18 months. Within three years time, Woco officials believe their Mexican operation could employ 650 and generate $65 million. Woco achieved worldwide revenue of Euro 450 million in 2011, generated by 3190 employees, with plants, production sites and business partners in Europe, NAFTA and Asia. Woco Tech de Mexico SA de CV, opened in 1993 and offers asembly and rubber and plastic injection molding, employing 195. Woco Group has a sales and development office in Warren, MI, opened in 2009, in addition to four German sites, two in the Czech Republic, two sites in India, and two more in China. In addition, the company has operations in Spain, France, Hungary, and U.A.E.. Woco’s Mexican operation was ISO 14001-2004 certifed in 2011 and TS 16949:2009 certified in 2010. This latest investment will include 15 rubber injection molding machines, and “further” plastic injection machines, ranging up to 1000 tons of closing force, with new assembly lines for Volkswagen, BorgWarner, and Mercedes. The Mexican automotive market over the first seven months of 2012 was up 13% in terms of production, and almost 15% higher in exports over the same period in 2011, according to Carvajal Información Spanish-language trade publications Metalmecánica and Tecnología del Plástico. Those publications organized the Symposium of Autoparts Manufacturers held from August 22-23 in Querétaro at the Centro de Congresos. Carvajal reported that the symposium drew approximately 500 automotive professionals, and announced plans for a third edition in 2013. At that event, Oscar Albin, president of the National Autoparts Industry (INA), said the auto industry accounts for more than 600,000 jobs. The arrival of new OEMs and Nissan’s previously announced expansion in 2014 are expected to push the sector’s revenue to $80 million, a new record should it be achieved.